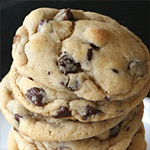 I adapted this recipe from one I found in Health Magazine years ago. 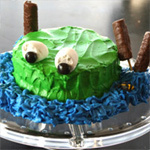 It surprises me every time I make it because it tastes so good. 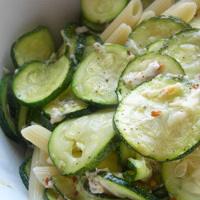 Zucchini is not exactly my family’s favorite ingredient, but in this context it’s delightful. Plus, it makes me feel good tossing vegetables and fresh Parmesan together willy-nilly as if wonderful dishes just jumped into bowls spontaneously. There’s no sauce. It’s just naked pasta and garden goodness. Why can’t every meal be this easy? Preheat oven to 400. 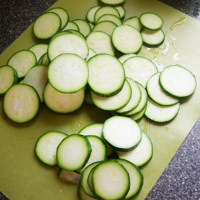 Slice 4 zucchini into thin rounds. Cook tortellini according to package directions. (I like the barilla brand that is sold on the pasta isle.) 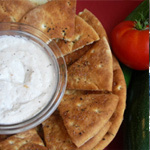 Toss them with olive oil on a baking sheet and sprinkle with spices and the minced garlic. You can just use your hands to get them all coated. Add the Parmesan on top so it can brown up in the oven. Roast for 20 minutes, giving the vegetables a toss after ten minutes. 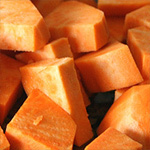 The cheese will be brown in places, letting you know that it has roasted all the way. Toss tortellini with the zucchini. Add more oil, cheese, salt and pepper to taste. 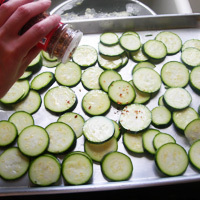 Problems: If your oven isn't hot enough, it may take longer to roast the zucchini. 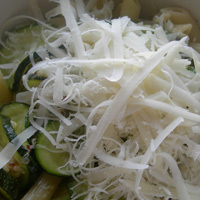 Since zucchini is mostly water, your pasta will be soggy if the water hasn't completely cooked out. Make sure the cheese is brown on top before you remove them from the oven. 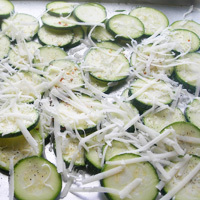 Toss them with olive oil on a baking sheet and sprinkle with spices and the minced garlic. You can just use your hands to get them all coated. Add the Parmesan on top so it can brown up in the oven. Roast for 20 minutes, giving the vegetables a toss after ten minutes. The cheese will be brown in places, letting you know that it has roasted all the way. 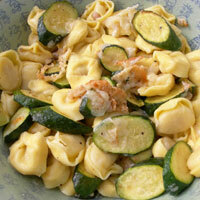 Toss tortellini with the zucchini. Add more oil, cheese, salt and pepper to taste.